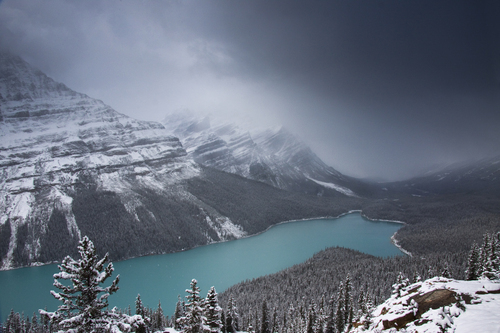 Peyto Lake is a glacier-fed lake located in Banff National Park in the Canadian Rockies. It was named for Bill Peyto, an early trail guide and trapper in the Banff area. This photo was taken in early October after the first snowfall of Winter.